Many believe that if a uniformed officer (or PCSO) knock at the door they have an automatic right to enter our homes. Or, if they ask to be let in and you refuse, you have committed an offence. The reality however is very different. Because by inviting a police officer into your home you are granting them extra powers and diminishing your own rights. The police know this, which is why they are always keen to persuade people to allow them in. Their forceful knock will nearly always be followed by a blunt demand for entry. But without a search warrant or justifiable cause, the police have NO powers to enter your home and there are several reasons why it pays to keep them locked outside. That is intelligence gathering by the police on anything they believe to be crime related. If the police enter your home and see anything that they regard as suspicious – wrongly or rightly – it will be recorded on intelligence files back at the police station. Did they see anything in the house they believe could be stolen? Does anything in the house suggest that the occupants may be engaging in illegal activity? Could the occupant’s children be suffering abuse: verbal, mental or physical? If there is anything at all inside your home the police could use against you, or could strengthen the accusations of others, they won’t hesitate to use it. Secondly, there is the crucial matter of search and seizure. 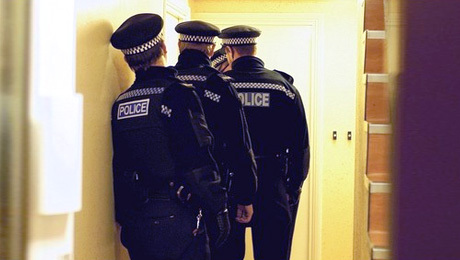 If you have invited the police in and you are subsequently arrested (or they have strong suspicions a crime has been or is about to be committed) they can conduct a search of your premises and seize anything they deem as evidence WITHOUT A SEARCH WARRANT. In many cases the police rely on the occupants allowing them in so that they don’t have to go to the trouble of obtaining a warrant. A warrant that in all likelihood would have been denied by a Justice of the Peace, because of a lack of evidence. 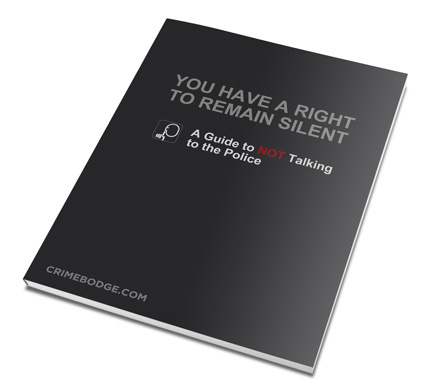 By allowing the police into your home you are effectively signing your own search warrant. And granting the police permission to take anything from your home that they feel could help prosecute you later. Regardless of the purpose of the police visit (unless it is to deliver bad news), if they have received a report against you, they are looking for a reason to turn those allegations into an arrest. And don’t think for one moment they are interested in hearing your ‘side of the story’ either. They are not there for YOU. They are there for your accuser. Regardless if it is a spiteful neighbour, bitter ex or vengeful third party, the police will only entertain your side of the story IF IT VILIFIES YOU EVEN FURTHER. Armed with nothing but hearsay the police will expect access to your home, turning your living room into an interrogation suite, attempting an ad hoc interview without any legal representation in the hope you will confess to whatever allegations have been made, regardless of how specious or outrageous they may be. However, if you ever find yourself in a situation where yourself or a family member have mistakenly invited the police into your home, and they are not going to arrest you, THEN THE MOMENT YOU TELL THEM TO LEAVE, THEY MUST DO SO. They cannot detain you in your own home and demand you answer questions about spurious allegations. If they make you feel uncomfortable and you decide you want them gone, or off your doorstep, then any refusal of theirs to leave could constitute as oppressive conduct and trespass. Remember, the police are adept at finding the very worst in the very best of people, and regardless of how affable and informal any police officer is when they approach your door, you should NEVER EVER lower your guard or allow them inside unless they have a warrant, or just cause. For maximum protection you should not even OPEN THE DOOR TO THE POLICE. Refusing to open the door to cold calling police officers is not an offence. You are not obliged to answer the door to anyone without a genuine entry or search warrant. But the police are so used to people inviting them in, that they believe it is their automatic right, and will often unlawfully barge into the homes of people who open their doors, and then lie about it later, claiming that the occupant ‘invited them in’. If the police come to your door, the safest method of dealing with them is to speak to them from a nearby window. One they cannot force entry through if their unlawful demands to be allowed in are refused. Ask them the purpose of their visit. If they insist you open the door, refuse unless they show a valid search warrant or give a justifiable reason as to why that door should be opened. Remember, your right to silence is inalienable. It cannot be used against you if you have not been arrested and you have a right to tell the police to leave your property whenever you deem it appropriate. If they refuse, report them. Call 101 and ask to speak to their superior, line manager or sergeant. Usually the threat of speaking to their superiors should be enough to have bullying officers scurrying away from your property. For your own protection, never allow the police into your home. 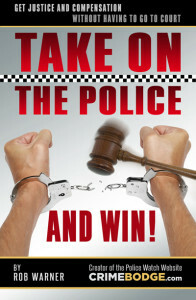 Rob Warner is the author of “Take on the Police and Win”: A detailed guide to defeating the police via their complaint’s process, as well as DIY instructions on how to make a successful claim for compensation from the police without ever having to go to court. 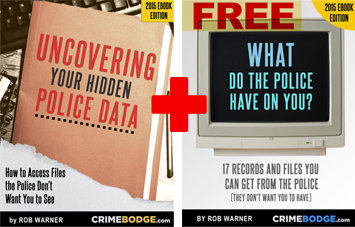 These 2 for 1 Ebooks are an essential guide to finding out everything the police have written, recorded, stored and processed in your name. They detail how to obtain police notebooks, radio traffic, police station CCTV and every other type of data the police retain on the public. Where information is untrue or defamatory this books shows you how to challenge it and have it destroyed. 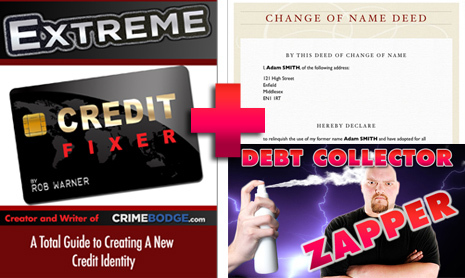 Personal information that could be used to your detriment, shared with outside agencies and prevent you from finding employment. To find out more about this 2 for 1 Ebook deal click here, or to purchase for immediate download please use the Paypal link below. This Ebook is supplied in .PDF format and is viewable on any device. To find out more about this Ebook please click here, or to purchase for immediate download please use the Paypal link below.This Ebook is supplied in .PDF format and is viewable on any device. By purchasing any of our Ebooks you will be helping fund this site and keep it alive.